Yes! 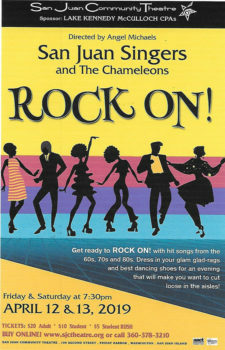 The beat goes on, with more hit songs from the ’60s, ’70s and ’80s. 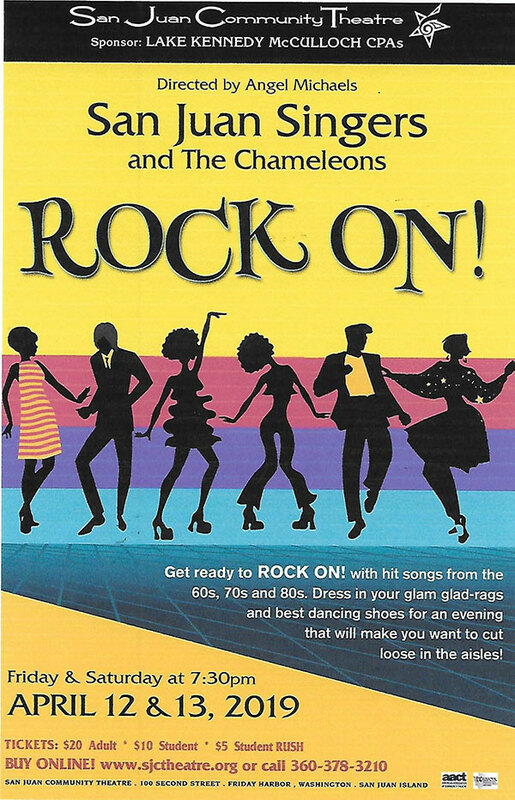 For two nights only, April 12 and 13 at 7:30 p.m., the San Juan Singers take the stage with The Chameleons, a favorite local rock band at San Juan Community Theatre. The singers will be decked out in period-appropriate costumes and invite you to dig out your go-go boots, your shoulder pads, your disco duds and whatever you loved back then and wish you could wear again. Tickets are $20 general admission and $10 students, available at the box office, online or from San Juan Singers members. Get yours early, these concerts will sell out.